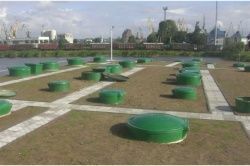 NV-X 1÷4 type biological treatment plants of domestic wastewater meets the requirements of the EU Directive 89/106/EEC and all the provisions of Annex ZA to the standard EN 12566-3:2006+A1:2009“Small wastewater treatment systems for up to 50 PT – Part 3: Packaged and/or site assembled domestic wastewater treatment plants”. Notified body: Public company Certification Centre of Building Products (li, Statybos produkcijos sertifikavimo centras, SPSC), Wastewater Treatment Plant Testing Laboratory (li, Nuotekų valymo įrenginių laboratorija), Linkmenų st. 28, LT-08217 Vilnius, Lithuania, notification No. 1397. 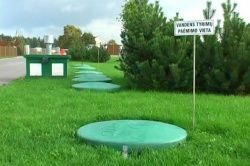 NV type biological treatment facilities of domestic wastewater, sold in Lithuania, Poland, Russia, Macedonia, have been produced since 1996. NV type aerobic plants are most often used for treatment of domestic wastewater for private houses. 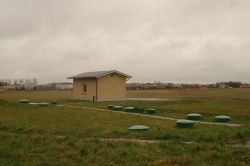 Equipment is installed, where there is no possibility of connection to centralised sewage networks. chemicals used at home (washing means, bleaches, softeners, degreasers) shall be use as provided in manufacturer’s recommendations. Treatment plant is used as an underground facility. Supplementary collection (riser rings) depends on manifold deepening. 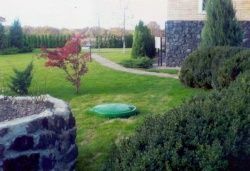 Subject to the selected place, treatment plant may be installed in a green lawn or under the roadway (not recommended due to uncomfortable maintenance). 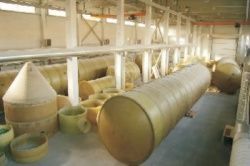 HNV type domestic wastewater treatment plants for settlements and newly built quarters are intended for treatment of domestic or similar wastewater from the kitchen, bathroom, toilet and other similar-purpose facilities. chemicals used at home (washing means, bleaches, softeners, degreasers) shall be use as provided in manufacturer recommendations. 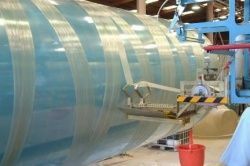 installation is possible both, under the ground (in case of interference with underground structures) and in a special filling above the ground.